SikhNet and the Sikh Spirit Foundation are proud to launch the SikhNet Daily Hukamnama iPhone app. This app brings the wisdom of the Guru directly to your mobile device. The free app is now available through the iPhone App Store. SikhNet would like to give a special thanks to Jasdeep Singh from San Antonio, Texas who volunteered his time to help create the Android version of this app, which became available in December of 2015. A centuries old tradition, a Hukam (order of the day) is read aloud each morning at the Golden Temple in Amritsar, India to guide the hearts and minds of the Guru's Sikhs. Up until now, people had to go somewhere - to their Gurdwara, their email, or a website - to receive the hukam. Now you can see the Hukam the moment it becomes available and be notified as soon as it arrives and view translations and transliterations of the Hukam in Punjabi, English, Spanish and Hindi. The Guru’s words and presence are now instantly global. Choose from four beautifully designed color themes. Sharing the Hukam is easy. Use email, SMS, Facebook or Twitter. The iPhone versions allows you to listen to the audio broadcast from Harmandir Sahib (Darbar Sahib) along with audio explanations in Punjabi or English. You can also receive a personal Hukam from the Siri Guru Granth Sahib for guidance whenever you wish. ► New landscape option (full screen mode) great for Apple TV mirroring on large screen. ► Native design now for iPad and all iphone versions. 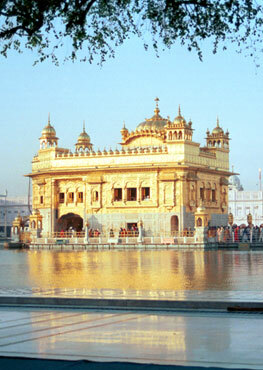 ► Receive notifications each day as soon as the Hukam from the Harimandir Sahib becomes available. ► Notifications pull a quote from the Hukam for an inspirational touch. ► You can read the Hukam in Gurmukhi, as well as Punjabi, English, and Spanish translations or Hindi transliteration. ► Share the Hukam via email, SMS, Facebook and Twitter. ► Ask a question of the Guru and receive your own Personal Hukam any time. SikhNet Gurbani Media Center - Access the largest collection of Gurbani Kirtan! Siri Guru Granth Sahib Katha App - Receive notifications when the Hukam is ready, customize formats, and more. SikhNet Audio Stories for Kids - Entertaining and inspiring spiritual audio stories about Sikhs, Saints and Heroes.